Everloop, the social network for children under 13, is planning to launch a mobile application, making it one of the first companies to attempt a mobile, social network just for kids. The app, arriving in the third week of June, will translate the desktop experience to the small screen, beginning with iOS (iPhone & iPod Touch) before heading to other platforms like Android. The company, which closed a seed round of $3.1 million last year, is also in the process of raising its Series A and is in search of a strategic investor to help it expand. Today, the company reports that 200,000 children and around 75,000 parents are using its service on the web, and it has been growing around 10% to 15% month-over-month during the past year. It’s hard to operate in the social networking space without the inevitable Facebook comparison, but news of Everloop’s expansion to mobile comes at an interesting time. Facebook is reportedly now mulling over whether or not it can allow children under 13 to join its network, according to a recent report from the WSJ. If that were to happen, it goes without saying that Everloop would soon be facing some steep competition. So the question is not whether or not Everloop can exist outside of Facebook’s shadow – Twitter, Pinterest and Instagram have proven it’s possible to establish a social audience beyond Facebook’s gates. The question is whether or not kids would ever willingly choose Everloop if Facebook officially opened up to them. For what it’s worth, Everloop is structured differently than Facebook – it’s focused more around children’s interests, which it calls “loops.” These can be based on anything at all, whether entertainment (think Justin Bieber, Twilight), sports, animals (golden retrievers, kittens), etc. And the interests are supplemented by content provided by Everloop’s now 25 brand partners, a group which includes big names like National Geographic, Mattel, Simon & Schuster, Harper Collins, and others. (Many are listed on the company’s homepage). The in-house moderation team consists of a staff of three plus a community manager, but the company has been scaling its moderation with assistance from Metaverse Mod Squad, which assists in reviewing the site’s content. 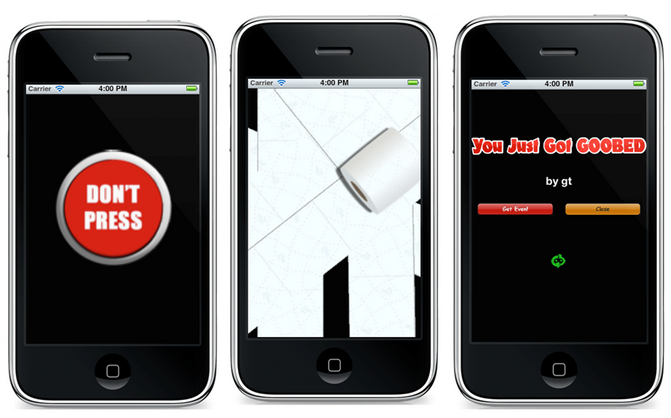 These “Goobs” will translate to the mobile app, which also aims to “help kids stay kids,” DeCesare says. 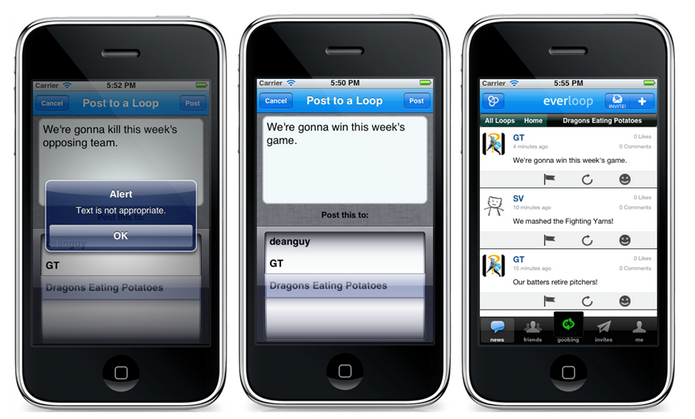 Kids text all the time, and Everloop on mobile will feel something like texting combined with graphics. And it will allow kids to keep up with their “loops” (interests), post to their loops, and stay in touch with friends in a safe, moderated, cyberbully-free environment. It’s true that Facebook’s general agenda and many parents’ agenda for their children don’t necessarily match up. But Everloop faces a problem that a kid-friendly Facebook would not – its audience keeps growing up, and is then forced to leave the site.